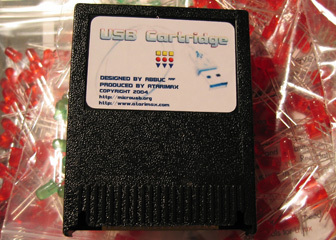 The ABBUC USB cartridge is a professionally produced USB host adapter for the Atari 8-bit computers. The software for this cartridge is currently in very early beta development, but already understands keyboards, joysticks, steering wheels and other simple USB devices. The USB cartridge chipset supports communication with both 'low speed' and 'high speed' USB 1.1 compatible devices. The software for the USB Cartridge is completely open source and is part of the MicroUSB project. 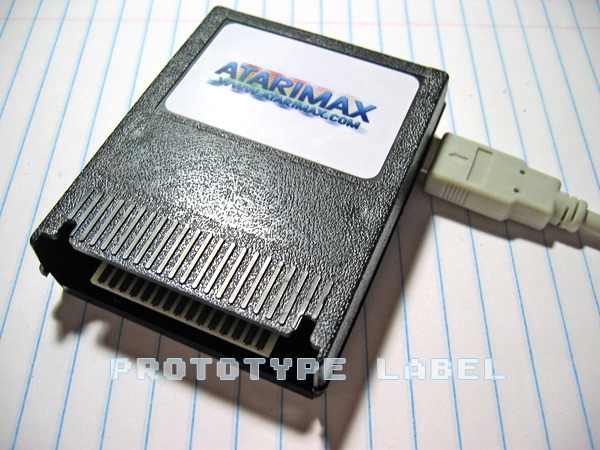 For up to date information on the state of the software support for this device, please visit the Atari XL/XE section of the MicroUSB.org web site. As production hardware becomes available the available software and number of devices supported will certainly increase quickly. The USB cartridge is designed by ABBUC e.V. and manufactured in co-operation with Atarimax. Pre-orders for the first 100 USB Master cartridges will be accepted at the special price of only $39.99. After the first 100 are sold, or 04/30/2019, the regular price will be $49.99 per cartridge. USB Cartridges are now IN-STOCK and ready for shipment! US orders will be shipped by USPS w/ Delivery Confirmation. International orders will be shipped by Air Mail service unless special arrangements are made. Add any of these items to your USB cartridge order now and incur no additional shipping charges! Adds Double Density, High Speed Backup and more to Atari 1050. The USB Cartridge Forums are now open, click here to enter! The XL/XE USB Cartridge is community supported open-source effort. Drop in and get help with your USB cartridge, provide your own code, report problems, etc. Software for the USB cartridge is available at the MicroUSB.org link above. Software and Hardware Design. Carsten Strotmann, Harry Reminder, Thomas Grasel for ABBUC. ABBUC Label. Florian Dingler for ABBUC.